We are involved in offering a wide range of Coating Grade Clay Lumps to our most valued clients. Our range of Coating Grade Clay Lumps is widely appreciated by our clients which are situated all round the nation. We offer our range of Coating Grade Clay Lumps at most affordable prices. China Clay falls under Kaolinite group of clays. It is having the usual compositions of Al2O3, 2SiO2, 2H2O, Hydrous Aluminum Silicate. It has a good plasticity, does not swell in water, stands high temperature (up to 1300C) & is non conductor of heat & electricity. To make sure that we offer only defect-free range of products, our quality experts cross check every product at diverse stages. A famed name, the company is entrusted with a task of making available high quality lot of China Clay Lumps. Our organization is positioned at Gujarat(India) and has gained immense acknowledgement and a respected place in the market. With our wide connectivity, trustworthy shipping facilities, we are flexible in delivering the product basket to the clientele within the dedicated time. Our organization hold expertise in offering superior grade China Clay Lumps to our precious customers. Our offered China Clay Lumps is widely appreciated by our customers, which are situated all round the nation. Known for its best quality, clients can avail this China Clay Lumps at industry leading prices from us. 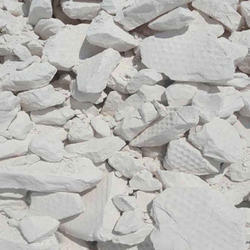 Pars levigated kaolin lumps are used in different type of ceramic products like wall tiles, glaze etc. 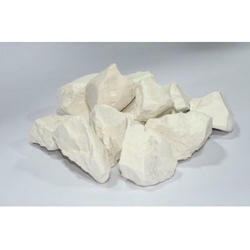 SHREE HARI KAOLIN is a leading manufacturer, supplier, and exporter of Levigated China Clay Lumps. We are equipped with a state of art manufacturing unit, owing to which, we are capable of providing customized processed China clay to customer’s specification regarding quality and delivery. The Levigated China Clay Lumps are soft and can be availed at economical rates. China Clay is composed of hydrated Aluminium Silicate having Chemical formula Al2O3.2SiO2.2H2O.